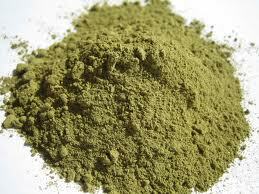 Henna is a flowery plant that is made to a powdery form and one of the uses is to add color to hair naturally. Make sure you first choose the color of henna you want. There are different shades available for example red, brown and black. Pour the quantity of henna into a non metal bowl and add hot water until the mixture is creamy and smooth. Stir in the mixture with a non metal spoon, a spatula works really well. Add some conditioner into the mixture so that your hair doesn’t get dry. It also softens the hair. Let the henna mixture sit for a few hours before use. You can also store it in the fridge overnight for a full dye release and apply to hair the next day. Spread the henna to clean hair and cover with a disposable plastic cap or wrap. This will hold in the heat, moisture and help the henna penetrate through the hair strands. Leave henna in your hair for a few hours (leave it overnight for more intense color) then wash thoroughly. The color will gradually slowly fade away with time. TIP: Use a dark colored towel because henna will drip and it will stain your clothing. Watch the video below from Safiya D on YouTube on her first henna experience. It makes your hair healthier, stronger, and shinier and gives your hair a natural color or tint. Henna does not act as a moisturizer so you have to do a moisturizing deep conditioner afterwards to give your hair some moisture. It can sometimes loosen the natural curl pattern. How do you Henna? Let me know how your henna worked out below.